The Wii U controller is the main controller for the Nintendo Wii U console. It’s officially called the Wii U GamePad. The controller was unveiled with the Wii U at E3 2011, and features a built-in touchscreen that can provide additional information to players, such as stats, maps, inventory, and more. For players who wish a more classical approach, Nintendo has made the Wii U Pro controller. 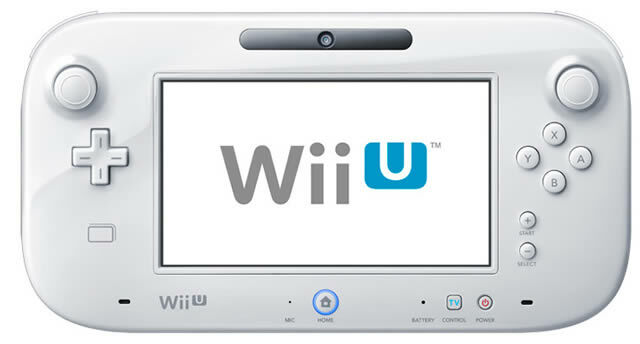 Development started on the Wii U hardware in 2008, and Nintendo’s Shigeru Miyamoto wanted the controller to have a small screen where players can find additional information about the game. The Wii U controller went through several designs before the team settled on a version with a 6.2 inch touchscreen. Later versions of the touchscreen made it possible for entire games to be streamed to the controller instead of the television. The Wii U controller’s main feature is a 6.2 inch touchscreen, however, the controller has a lot more hardware. Among the new hardware is a front-facing 1.3 MP camera, a microphone, gyroscope and a set of stereo speakers. With these features, the Wii U controller can function as the main screen for the game, where the gameplay is streamed to the controller instead of the television. This enables players to simply keep on playing, even if the television is used for other purposes. The Wii U controller will also include a small amount of flash memory that’s used for games and tablet software. Nintendo has said it was possible to use two Wii U controllers with the console, however, the current plan is that only one controller will be supported at beginning. The Wii U controller requires a lot of resources and processing power from the console hardware, which means a considerable amount of more power from the system will have to be used to support the extra controller. That’s why games who would support two controllers would have to be created for this kind of support from the ground up. Because of this, it’s uncertain whether the console will ever support multiple tablet controllers. The Wii U controller will feature an NFC — Near Field Communications — chip. The Wii U NFC chip is used to communicate with other devices that have an NFC chip. NFC technology is set to boom over the next few years, with chips becoming so cheap to produce that they can be included in almost everything. For more details on this new technology, check out our Wii U NFC article. The Wii U stylus is a small and simple plastic pen which can be used to draw and write on the controller. Nintendo showcased a drawing application for the console where players could draw Nintendo characters and share them online. While the Wii U stylus is included with the controller package, it isn’t necessary to use for input on the screen. Players can simply use their fingers for a regular touch interface. The Wii U will have a built-in rechargeable battery which is non-removable. The battery in the controller will be large enough for several hours of continuous use, even when the screen is on at full brightness. The battery will be charged via an included a USB cable that connects to the USB ports at the front of the Wii U console. In addition to games, the Wii U controller will also support Wii U apps, such as small downloadable games, like chess and backgammon, which can be played on the controller alone. Non-gaming apps will also be supported on the controller through an app store. Apps like video streaming and productivity apps are entirely possible on the Wii U controller. The Wii U will be fully backwards compatible and will support Wii controllers and input devices, such as the Wiimote, nunchucks, Wii Classic Controller, and the Wii Balance Board. The controller will support a Wii U Zapper accessory, which will be used for first person shooters and action games. For more on this, check out our Wii U accessories page.